One thing that sets some parking craters apart is public subsidies. 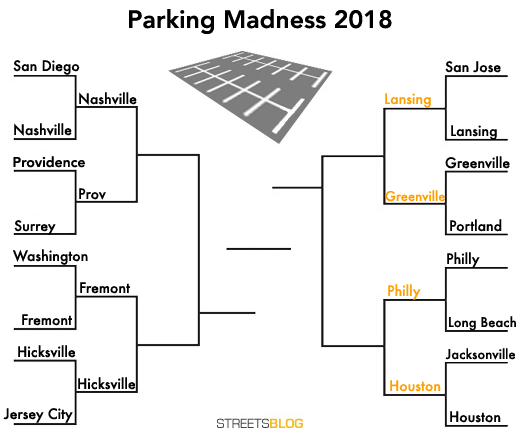 All of the parking moonscapes we feature in the Parking Madness tournament are wastes of urban space, but only some are fueled by taxpayer dollars that could have been spent on education, housing, or — get this — better transit. That’s the case in Houston and Philadelphia, two cities where stadiums with enormous parking fields received heaps of public subsidies. These cities are spending their own money to generate traffic and flatten acre after acre with impervious asphalt. The winner of this match will face off against the victor of Lansing vs. Greenville, where the voting remains open until tomorrow. Let’s take a look at the damage. 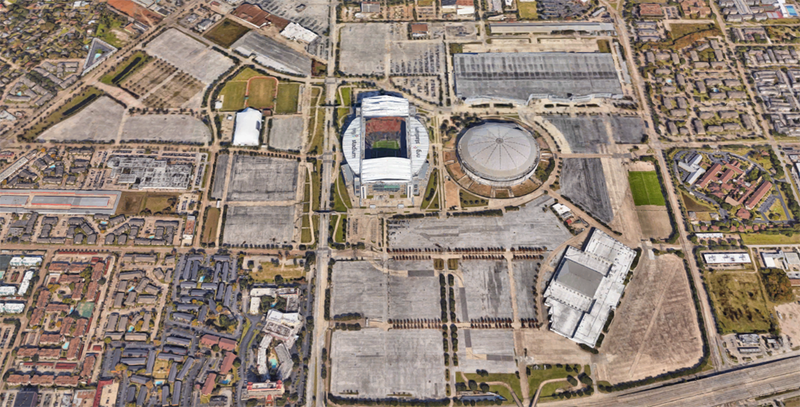 Here we have NRG Park in Houston, which includes five separate venues. The NFL’s Houston Texans play at NRG Stadium, which taxpayers chipped in $289 million to build. This is also the home of the Houston Livestock Show and Rodeo, as well as the Astrodome, which remains standing even though the Astros left long ago. They say everything’s bigger in Texas, and this is indeed one of the “world’s largest parking lots,” according to Wikipedia, with 26,000 spaces. More subsidized parking could be on the way: A $105 million public project to refurbish the Astrodome includes a 1,400-space garage. Older cities in the Northeast with legacy transit systems aren’t exactly setting an example. 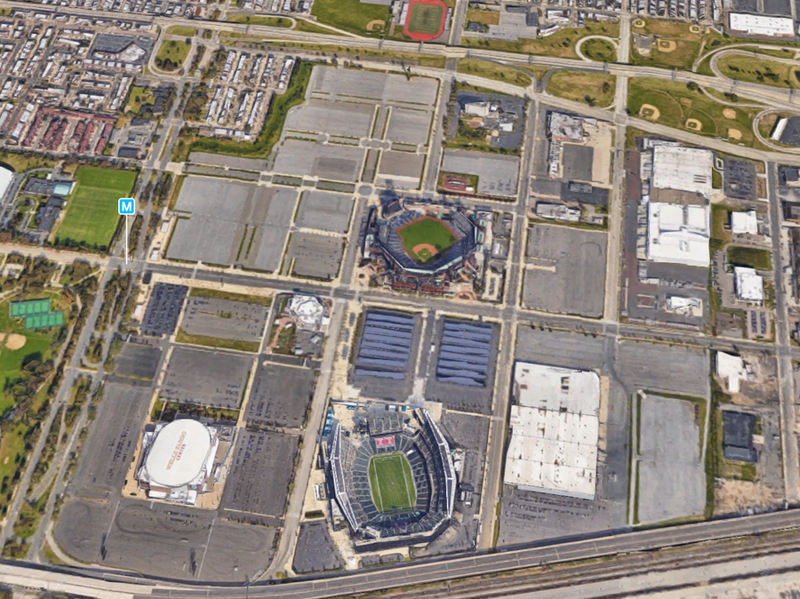 The South Philadelphia Sports Complex is the site of several large venues that have received hundreds of millions of dollars in subsidies, including tens of millions for parking, according to the Franklin Center for Government and Public Integrity. There’s a SEPTA stop nearby, which we’ve marked above, but all the parking just makes it more difficult to walk from the transit station to the stadiums. Movies at Green-Wood and Cheese!